New Zealand immigration is a great opportunity for people who think life is for the living. This is what all New Zealanders believe and anyone who believes the same will love to spend their days there. New Zealand immigration will give you a number of benefits. Not only it will improve your standard of living but also New Zealand jobs sector welcomes talented and skilled individuals with open heart. Provided that you fulfil all conditions regarding immigration to New Zealand, you can also have a permanent New Zealand citizenship. New Zealand immigration for Pakistani nationals has also witnessed a number of successful cases. The policies for Pakistani citizens offer the same benefits as for the other foreign prospective candidates. There are a number of benefits if you move to New Zealand. The work – life balance in New Zealand is just right. You can have a career as well as a life. New Zealand jobs are designed such that the employees can enjoy life after the office time. Work and career are important for New Zealanders but having a good time with your friends and family is equally important. So it’s about a good balance between the two. The career opportunities provided by New Zealand jobs sector are great in number. And this great number is equally balanced with the recreational opportunities for the citizens. New Zealand offers a safe and secure environment for you and your family. The crime rate is comparatively low there. The place offers an easy going and happy atmosphere. New Zealanders are open-minded. You can have your peace of mind intact wherever you move across the country. You can experience the benefits of living in a peaceful community. While moving to a new country is a challenge as the culture and environments are entirely different, New Zealand is a family-friendly place where you can bring up your kids. New Zealand is home to multi-ethnic cultures and everyone is welcomed here. Your child can have the best of educational opportunities in here. Also, the basic medical and health care facilities are provided free to all the citizens. There are a great many recreational activities that will not only entertain your child but also help them learn new things. New Zealand is loaded with natural beauty. You can enjoy the scenic views of hill tops as well as seas. All the cities are surrounded by the natural beauty. The clean and beautiful surroundings encourage outdoor activities. There are several national parks arranged by the government to keep the beauty of the land intact. Moreover, New Zealand has a low population density that enables you to escape the crowds and breathe fresh air in the open spaces all to yourself. The climate here in New Zealand is temperate and mild. The summers are warm and dry but no baking heat. The winters are wet and mild but there isn’t much snow. New Zealanders enjoy wide variations in day to day weather. Being a maritime country in the southern hemisphere, winters are from June to August while summers are from December to February. New Zealand offers high-quality education. It is a great place for your child to get their education be it the primary school, high school or university level course. The educational institutes in New Zealand have a good standing worldwide. New Zealand has a well-established infrastructure. The country appreciates the talented and skilled individuals and also invites them to have a great career opportunity. The salary paid here is also good. Moreover, your hard work is paid off as there are a number of chances for career growth. If you are planning to move to New Zealand, the process would be a lot easier if you seek help from New Zealand immigration consultants. Though New Zealand immigration laws are not that difficult, still immigration consultants will make the process smooth. Also, the chances of successful immigration will increase. 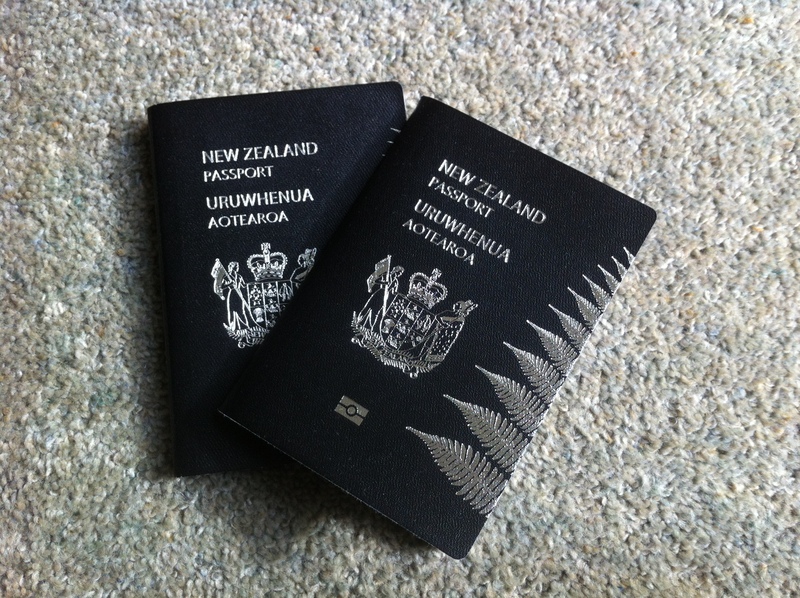 There are different New Zealand visa categories that you can apply against. The major New Zealand visa categories include work visa, business visa, student visa and a simple visit visa. The New Zealand immigration laws are designed to support the country’s economic growth. For those who want permanent New Zealand citizenship, you may either have a capital amount to invest, or in-demand skills and experience, you can apply for New Zealand citizenship. New Zealand immigration for Pakistani students, investors, and skilled workers is also highly encouraged by the New Zealand government. There are several immigration forums where the prospective visa holders discuss different immigration requirements. There are some specific New Zealand immigration forums that only discuss the matters regarding immigration to New Zealand. You can benefit from these immigration forums in addition to the services of an immigration expert. It will help you in understanding the processing of your application. Like Australian immigration points system, New Zealand also accesses the eligibility of a prospective candidate on a New Zealand immigration points test. Only the candidates who secure the minimum limit on the New Zealand immigration points test are considered for further processing by the immigration department. The points test awards score on the basis of an individual’s age, English language proficiency level, character status, health status, academic qualifications and employment record etc. In case you don’t have a job already lined up for you, it is better to search the suitable job within New Zealand as soon as you arrive. Ensure you have a place to live when you arrive in New Zealand. Think about it both ways – your long term stay and as well as your temporary settlement. Sometimes your friends or family already have a place, in such cases their place of residence is the ultimate settlement option on immigration for Pakistani or any other foreign nationals. But ensure there is room for you or else they find a room for you. You may also organize your stay in advance so when you arrive there, you will go straight to your place. Sort your finance needs before time. It is also suggested to have a New Zealand bank account before you arrive there. In this way, you can make your transactions more reliable and sorted. If you are moving with your family, it is better to do your homework. Find the nearby schools at the place where you are planning to live. The government of New Zealand offers opportunities of New Zealand immigration for Pakistani citizens since there are many Pakistanis who want to move to New Zealand because of the great opportunities the country has to offer. New Zealand immigration for Pakistani candidates also offers a chance to those who didn’t have a successful Australian immigration. In case you can’t have a successful experience for Australian immigration, you might get a chance if you fulfil the eligibility requirements of immigration for Pakistani nationals. New Zealanders are natural at welcoming strangers with an open heart. In fact, New Zealand is a place that brings people from different lands and cultures together. The response that new migrants receive from the New Zealanders is overwhelming. If you want to spend your life in New Zealand amidst the comforts and quality standard of living, you can avail our services at immigrationexperts.pk. We offer our services for New Zealand immigration for Pakistani citizens. Our experience will help you to have a successful immigration to New Zealand. Interested candidates may email their resumes at wecare@immigrationexperts.pk. We will evaluate your case and help you to reach your dream destination with ease.